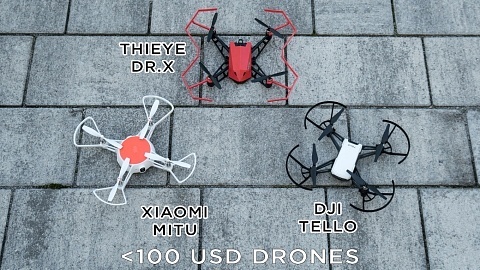 Xiaomi just released a new mini drone: Xiaomi Mitu. 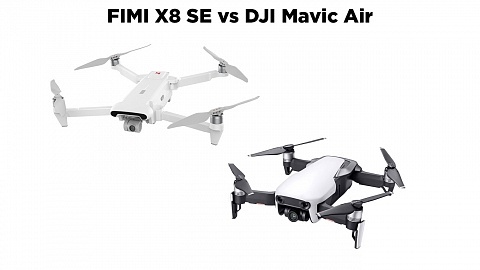 It’s produced by the same company as the famous Xiaomi Mi Drones well as Xiaomi Mijia 4K Action Camera: FIMI. To start with, it’s not a drone for filmmaking, nevertheless it can take videos in 720p resolution, plus it offers some exciting features! 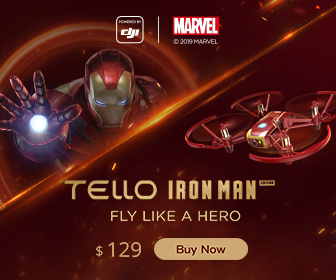 If you are considering another drone, e.g. 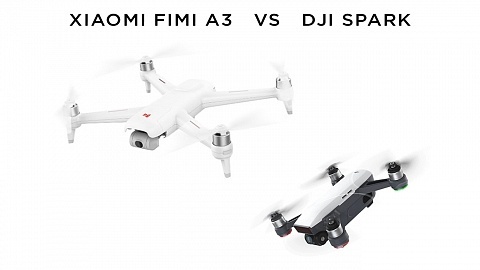 the similar DJI Tello, you might want to check out my: Xiaomi Mitu vs DJI Tello vs Thieye DrX comparison review. Xiaomi Mitu is 91 × ​​91 × 38mm small and weights 88g. It holds ultrasonic and vision sensors. Mitu is equipped with wifi and bluetooth and controlled via smartphone or controller (sold separately). According to Xiaomi you can fly in a radius of 50m and 25m high. The removable 920 mAh battery lasts for about 10 min. of flight time and is charged within 60 min. A dual battery charger including 2 batteries is available for 27 USD. Video resolution is 720p with 30fps. 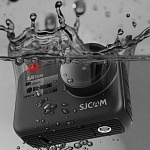 Photos are taken in 1600 × 1200 resolution in .jpg format. Videos and photos are saved on an internal 4 GB storage, no need of an SD card. You can download them to your phone via app. Xiaomi Mitu comes with battery, charging cable, 6 rotors, prop guards and manual. Xiaomi Mitu is controlled via smartphone and Xiaomi Mitu app. To connect your smartphone to Mitu simply activate your drone and search for its wifi. The standard password is 123456789. Within the app you can find virtual joysticks, but you can also fly it by moving your phone (using the phone’s gravity sensor). There are dedicated buttons to start / land your drone, as well as a button to palm launch it. You can also use a Bluetooth game controller to fly your Xiaomi Mitu. I’m currently not aware which types are working or if it’s only the Xiaomi Gamepad. Now this feature is a lot of fun. 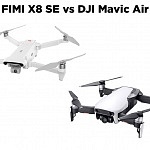 If you and your friend are flying with a drone each you can do an air combat. Within your app you will see a virtual scope. So you can aim for your friend’s Mitu and press fire. When you hit it the drone will shake. When you get hit you will also see it on your screen. Seems like a lot of fun! Not really useful but fun feature – you can perform 360° flips with your Xiaomi Mitu mini drone. This mode is still under development. You will be able to set different parameters and the drone will perform this flightpath along your settings. 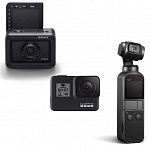 DJI Tello has about the same with and is a bit larger in size. Flighttime is stated with 13 min, so 3 min longer than Mitu. It’s compatible with game controllers as well and additionally offers compatibility with VR-glasses. 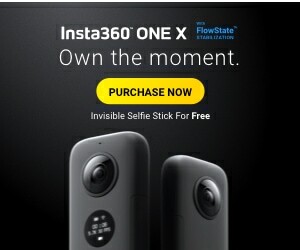 Not sure if that will be introduced with Xiaomi Mitu. 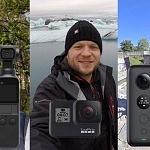 If you are looking for video recording, that’s probably not a drone for you. If you are looking for a fun drone which also takes short clips and snapshots, Xiaomi Mitu seems like a lot of fun. I’ll get one. Tello can gob about double the distance. 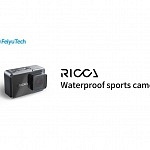 Video capabilities are limited to 720p, same as for Xiaomi Mitu, but DJI Tello offer higher resolution photos (5MP). What’s the advantage of Mitu? The air combat feature and it is way cheaper!